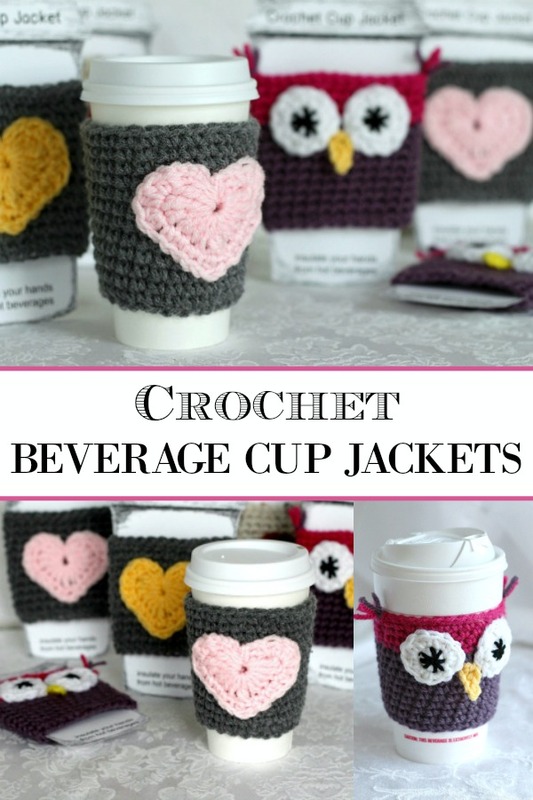 Crochet Beverage Cup Jackets are both adorable and useful for protecting your hands from containers filled with hot beverages. 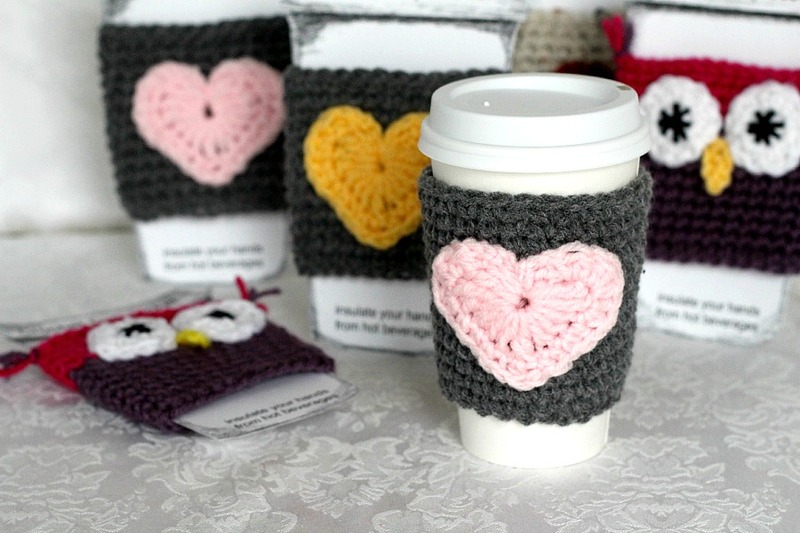 A friend of my daughter asked me to make some for her and wanted them longer than she was able to find, covering most of the cup. Patterns are prolific on the internet and they are not at all complicated to make. Use single crochet stitch as I did here or half double, double or combination. Embellish as desired. Begin by making a base chain (I did 25 chains for a medium size cup from Starbucks). 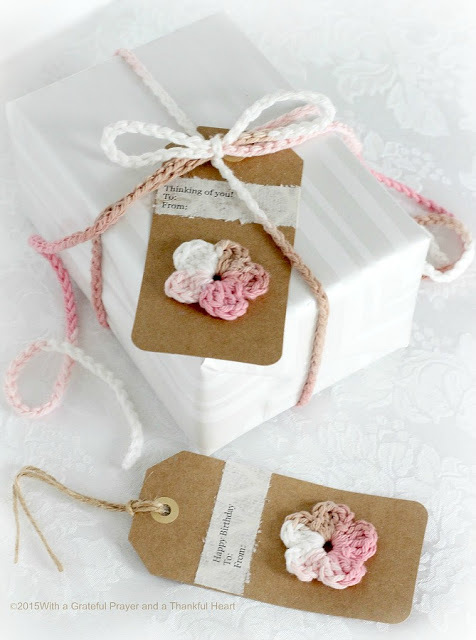 Join with a slip stitch to the first chain without twisting the chain. Chain one if single crocheting (chain 2 for half-double crochet and double crochet) and repeat rows until desired length. For the owl jacket, I crocheted circles for the eyes and stitched the eye detail with a needle and black yarn. A tiny yellow beak was made and stitched on and side tufts of feathers were added with a couple strands of yarn. Here is a link to the heart applique pattern. The cup jackets are just too cute, Lorraine. I love seeing your projects! Such cuties Lorraine!! I'm always amazed at your crotechting skill!! How talented you are!! Love these, Lorraine. You do such beautiful work! You could be setting a new trend. They are so cute! The owl is my favorite! What a great idea! 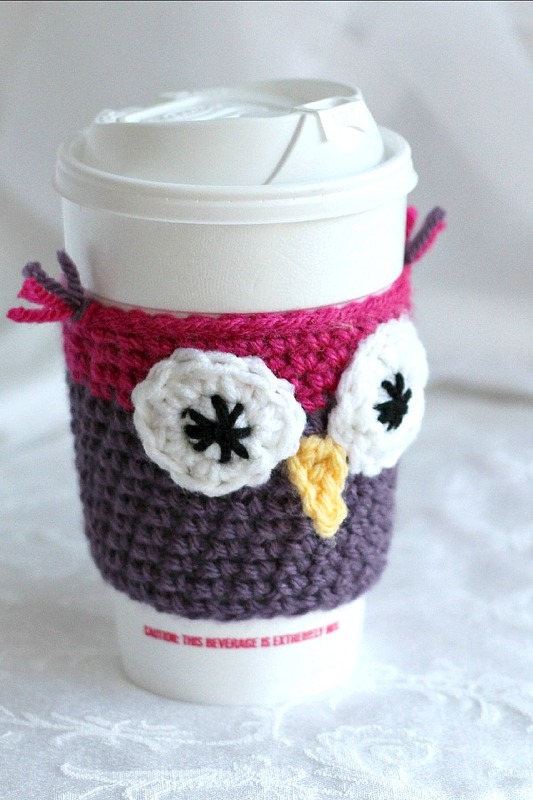 I so need an owlie one! 🙂 Cute as can be! Lorraine, those are adorable! I love how creative you are….I admire things but pick up a book instead of thread and directions. I find I'm very lazy this winter! Sometimes I can blame it on low blood pressure but not always….smile. Hope your week is full of blessings! 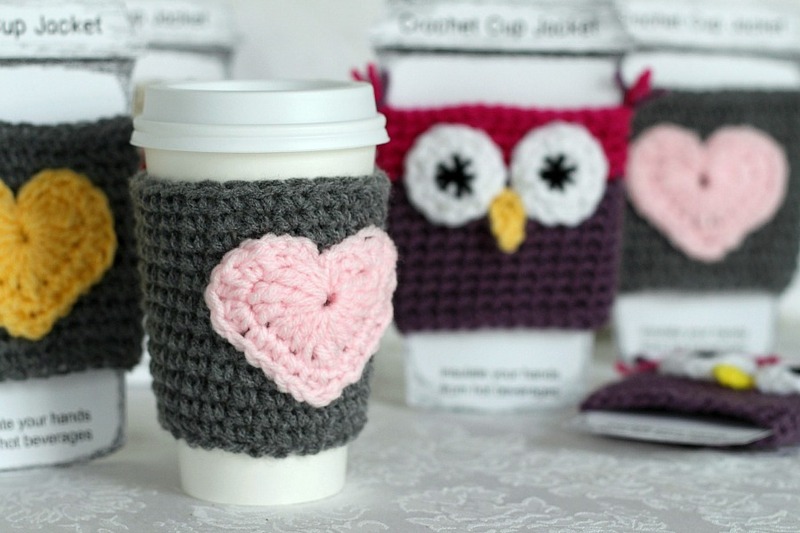 A perfect combination adorable and useful all in one project. so cute…I didn't know I needed one till I saw these!